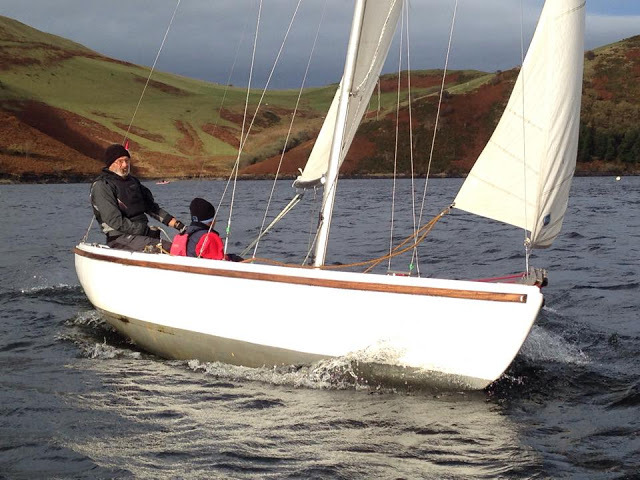 At Clywedog Sailing Club we aim to offer a sailing experience suitable for all. 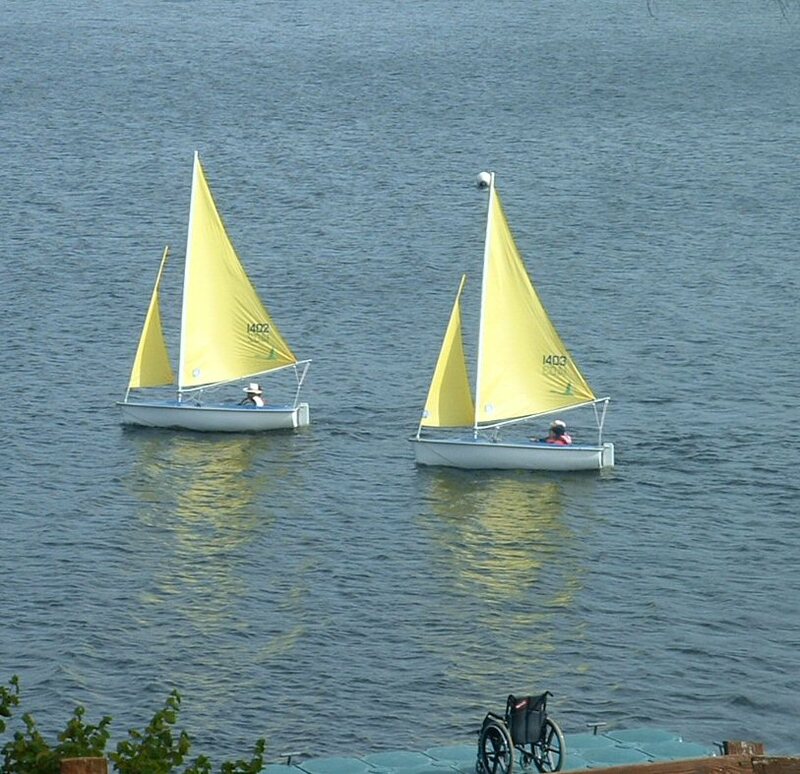 We are aRYA Sailability Centre and are fortunate to have a range of dinghies available. 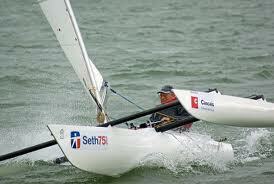 link to RYA Sailability info page. 2019 Dis Day Sat 22nd June, see link further down this page. 3 Hansa 203 dinghies ( 2 x 203 S Single Seaters and 1 x 203 Breeze two person). These are ideal for small adult or juniors compared to the 303’s we currently use. We should be taking delivery early Sept and we hope to schedule some sessions before the end of the season. Please contact Keith (Commodore) for further info. Look at our post about CSC’S ITV News feature on Sailability! 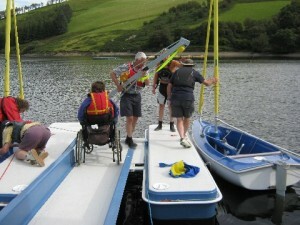 The whole Access dinghy range is designed for the use of people with disabilities. Any other family member, friend or carer that wishes to sail in the same fleet or possibly race with the disabled person will also find the Access dinghies easy and great fun to sail. Steering is by a manual joystick located in front of the helm, moving it to the left to go left and to the right to go right . The boats are so simple to operate that almost anyone can helm them. All maneuvering is carried out from the comfort of a hammock seat, making it the most comfortable dinghy available and is particularly suited to anyone who for any reason has limited mobility. The hoist allows sailors to be safely moved directly from a wheelchair into a dinghy. At Clywedog we also have 2 x Sunbird single handed dinghies and 2 x Challenger Trimarans for the more adventurous. Keel boat for people with limited mobility.